The largest trust in the country has partnered with a carer on demand service to get patients back home quicker. Barts Health NHS Trust has joined up with UK based company, Cera, to provide carers for elderly patients in their own homes. The start-up’s key selling point is that, within the M25, a carer can be provided within an hour. Ben Maruthappu, co-founder and president of Cera, told Digital Health News that the company was working with Barts to “try and support and accelerate discharge from hospitals in a high quality, safe but also quick manner” and stop “bed blocking” in the NHS. Patients would not pay for Cera’s services, which usually cost £16 per hour. 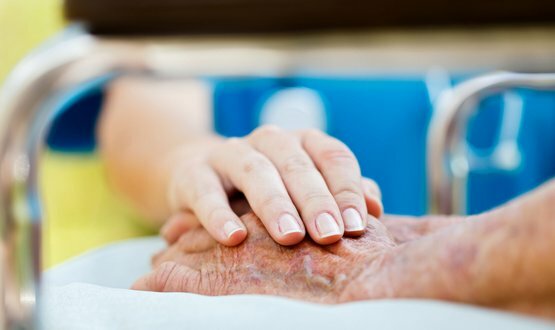 A spokesperson for Barts Health said in a statement that the trust is “working with a number of registered organisations, including Cera, to make sure patients get vital support in their own homes. This includes physiotherapy, nursing or domestic support to help people recover after a stay in hospital”. This month, Cera has also paired up with taxi company, Uber, to provide lifts for its clients using hundreds of specially trained drivers. Maruthappu said Cera wanted to transform transport for older patients and carers through the partnership, which will start in the next few weeks. This led to media reports on Barts contracting Uber to ferry its patients, which the trust refuted in a statement saying: “We do not have any contracts with Uber or Cera to provide non-emergency patient transport”. The public’s sensitivity towards private companies such as Uber and Google working with the NHS is seen through the furore, led by New Scientist, towards DeepMind Health working with the NHS. In a bid to address these transparency fears, the artificial intelligence company announced on Thursday a plan to build a data audit tool. Cera first launched in November last year, and the service can be accessed from outside London but with a longer time frame. Barts Health has a turnover of £1.4 billion and a workforce of about 16,000 to deliver care to 2.5 million people. hear, hear … maybe best to use the phrase poor bed management? Great idea and demonstrates technology being used to maximise benefit. However can we stop calling them bed blockers, they are people who want to go home. Calling them “bed blockers” puts all the emphasis, and blame, on the individual. The Information Commissioner's Officer has started making enquiries into the breach of NHS radiation staff data by US based company, Landauer.